Understanding Burgundy labels | "Burgundy Beyond"
First step, the French language. Second step, the Burgundy classification. Burgundy is an AOC pyramid (AOC = controlled appellation = official status) and the percentage of wine produced is noted alongside. The appellation status is the most important information: regional, village, 1er cru or grand cru. Then the vintage, oftenr written “Récolte 20…”. Récolte means “harvest”, so when the grapes were harvested and not the year it was bottled. The village name is straight forward, you should just know some or all of the 44 villages. 1er cru is a little different, as you will see the name of the village and then the words “1er Cru”. Underneath this will be the name of the particular vineyard that the grapes were picked. There are 684 1er cru vineyards or “plots”. 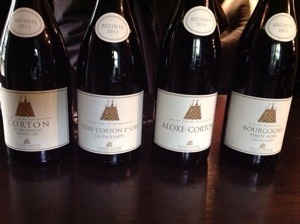 Finally the “grand cru” will only give the name of the grand cruu vineyard and not the village. There are 33 grand crus. The estate name should be on the bottom of the label. Particular attention should be paid to the name of the estate (a gage of quality for certain) and also the vintage, which will indicate how long you can keep the wine or when you should best drink it.